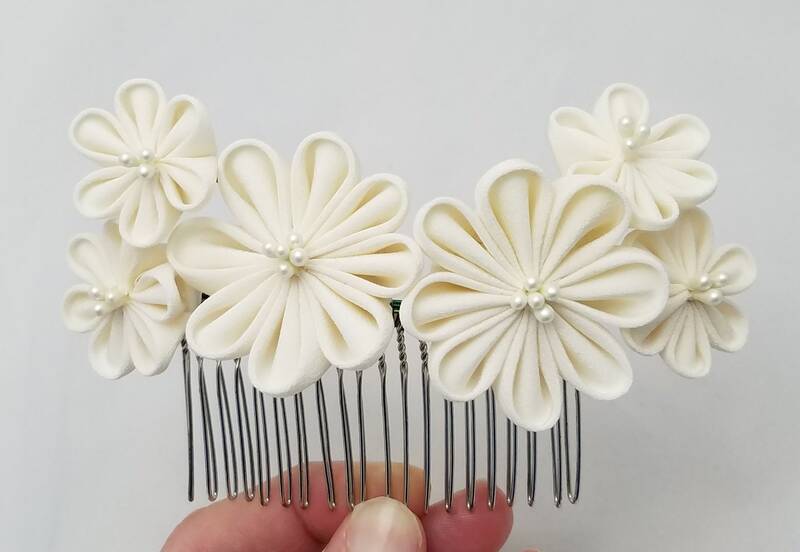 This listing is for one hair clip. 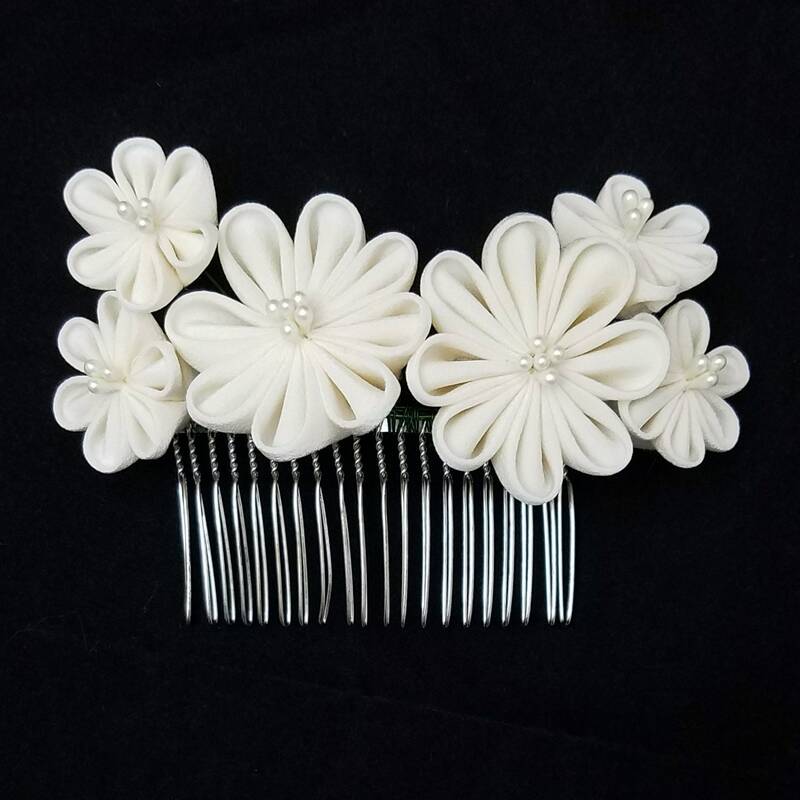 This beautiful hair comb would make a wonderful accessory for any bride. 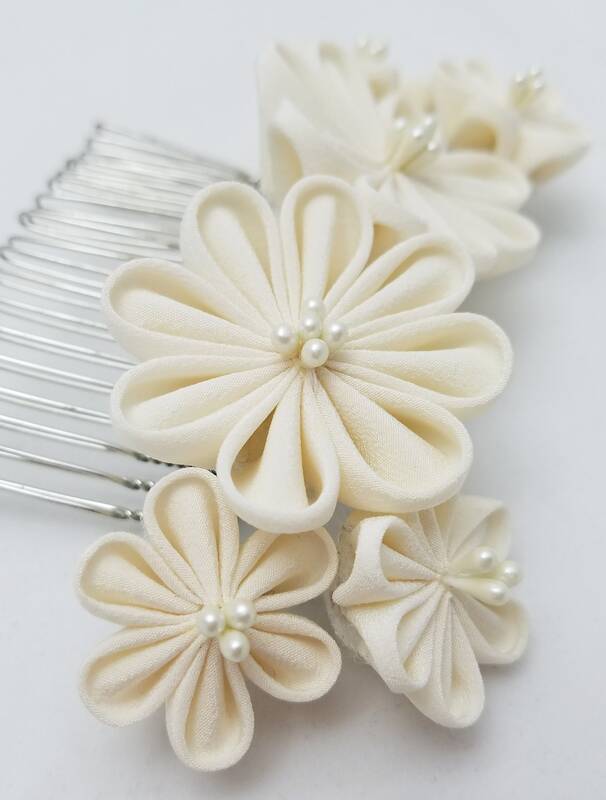 This cluster of flowers was made from 40 pieces of cream colored, vintage kimono silk. 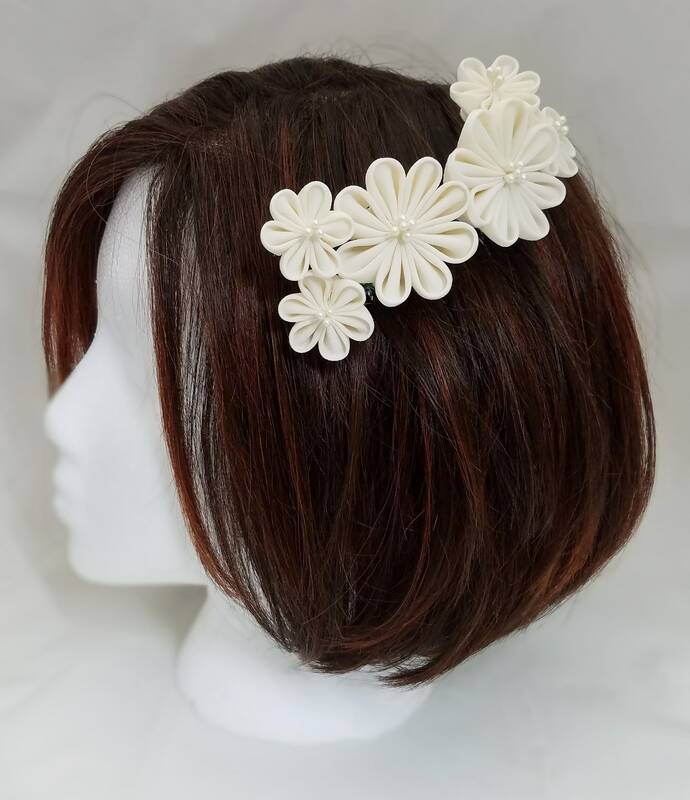 The stamens were created using white paper floral stamens. There are 4 smaller blooms and 2 larger blooms in this "bouquet". 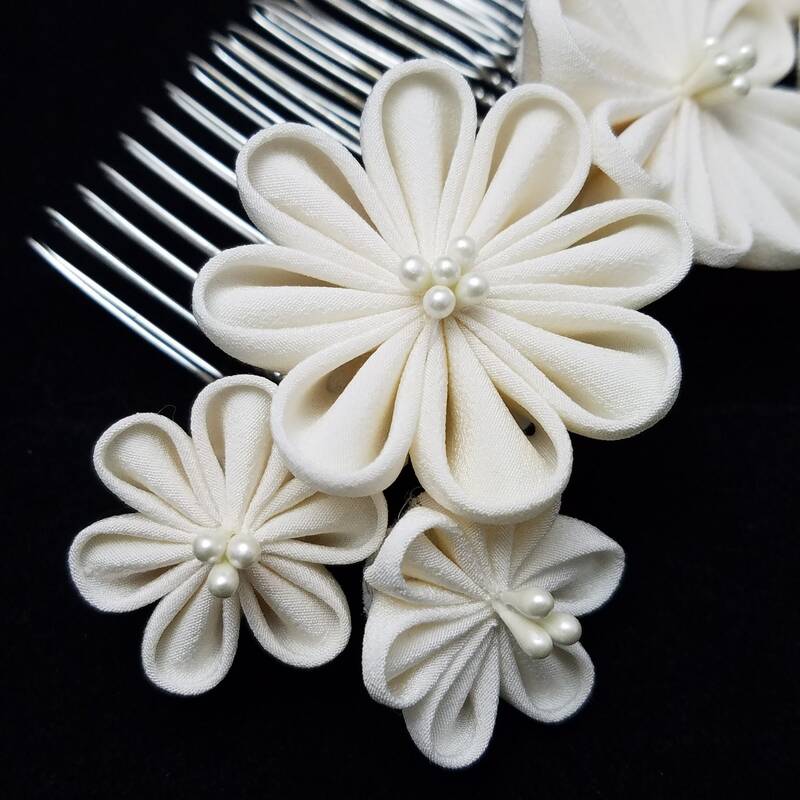 The comb is made in the tradition of Tsumami kanzashi but is also sewn together making the flowers less prone to damage. 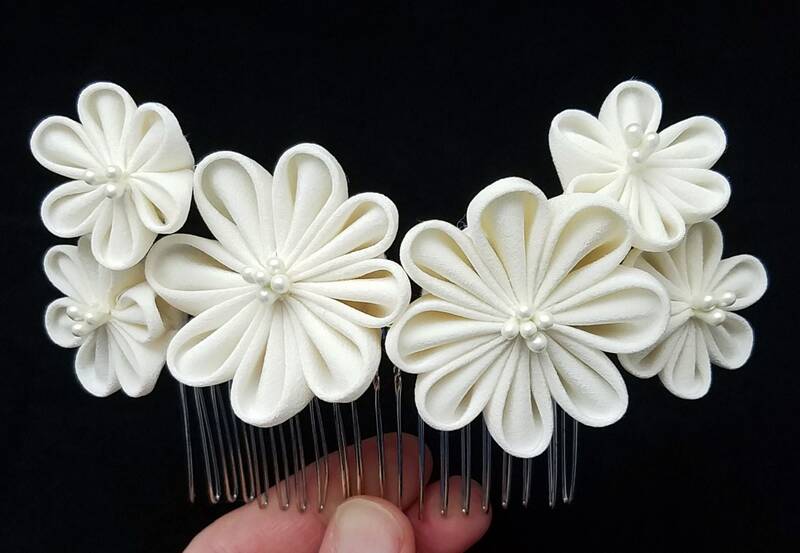 Each bloom is mounted separately onto a felt base with a green colored, floral wire stem. 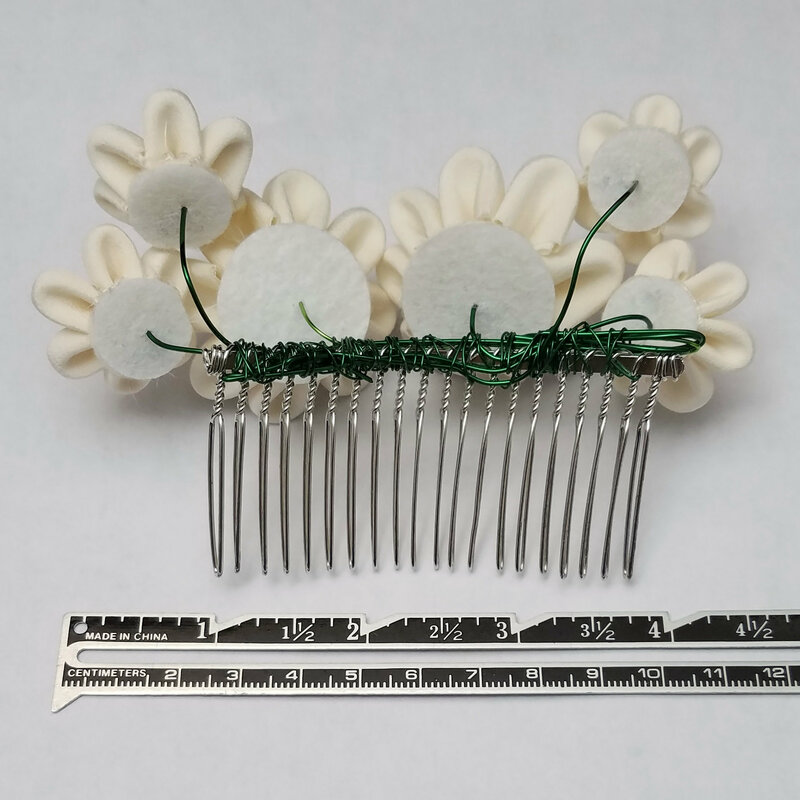 The stems are attached to a silver colored, metal hair comb. Larger flowers are about 1.5 inches (3.81 cm) in diameter. Small flowers are about 1 inch (2.54cm) in diameter. The entire cluster of flowers measures about 2 inches (5cm) tall and about 4.5 inches (11.43 cm) wide. 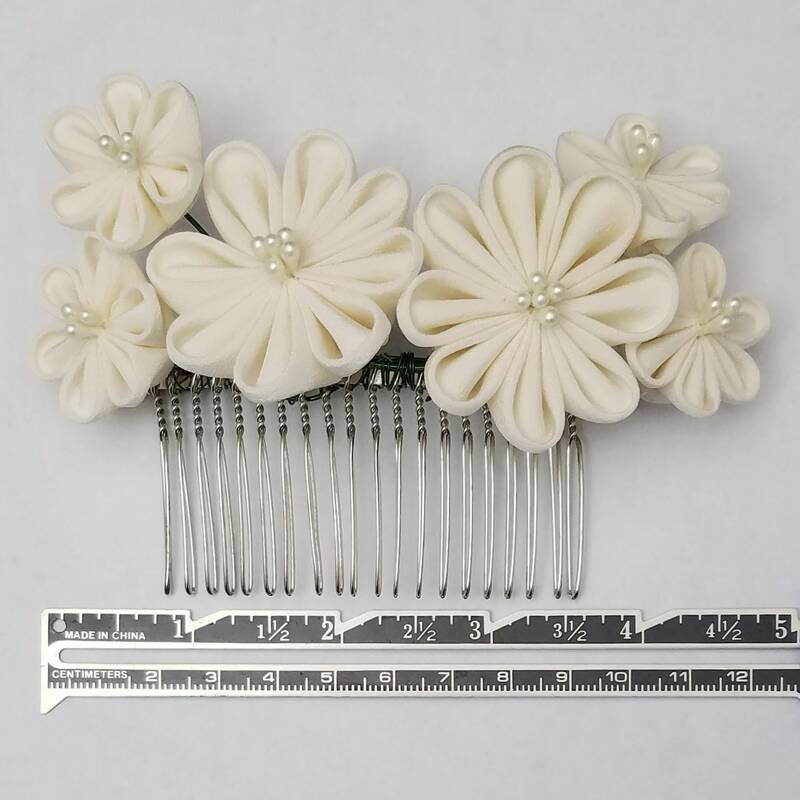 The hair comb is 3 inches (7.62cm) wide. The teeth of the comb are about 1.25 (3.18cm) long. 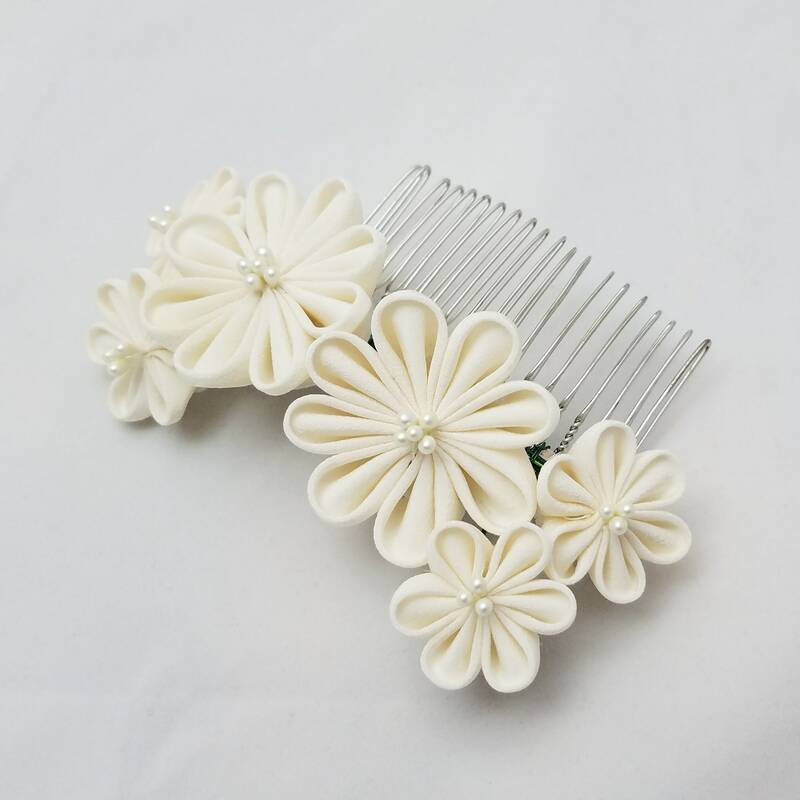 This is the actual comb available for purchase. The last photo shows the color most accurately. Crayola brand crayons are shown in the photos for a color comparison. Please note that the flowers are a cream color, not white. They are slightly more darker in color than my Ivory colored wedding dress. 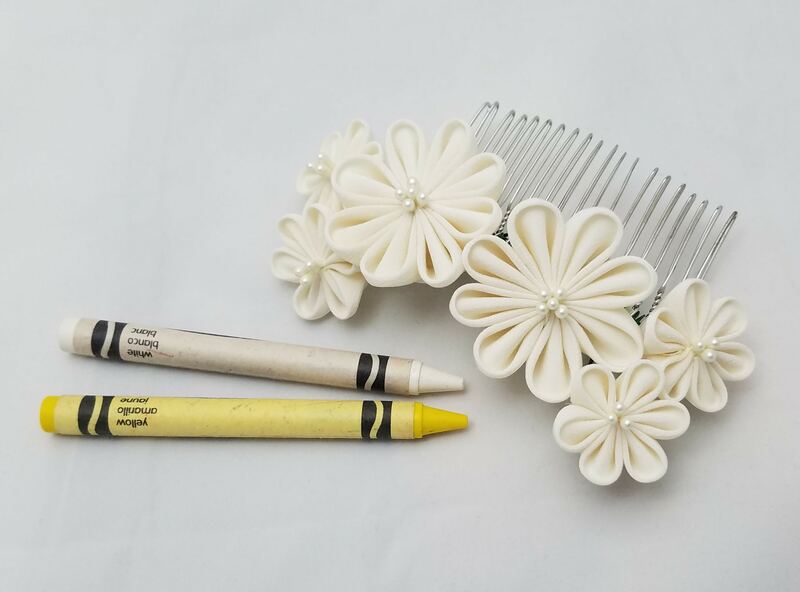 Please note that hair accessories have small parts and can be choking hazards for young children and infants. These items are only recommended for children over the age of 12 years. This item is created of silk. Please prevent it from getting wet and store it away from direct sunlight and moisture.